Image: Marvel Comics. Art by Mike Perkins. 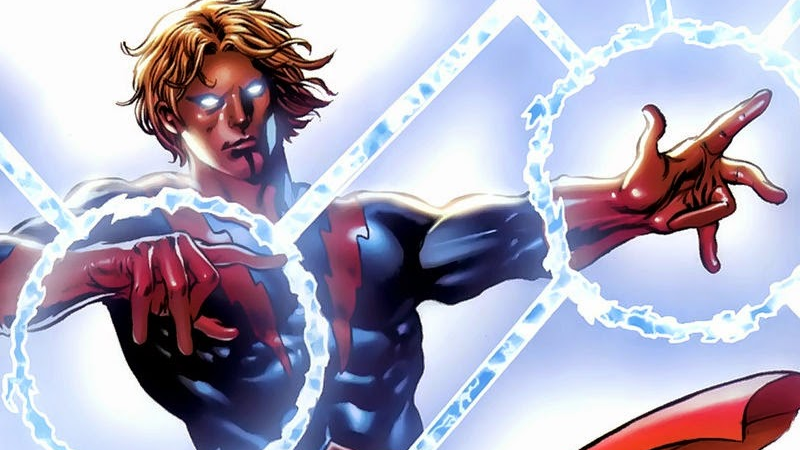 Ever since the first Guardians of the Galaxy movie dropped a hint of Marvel’s quantum magic-flinging hero Adam Warlock, fans have wondered when or if he’d ever join his fellow Guardians on the big screen. But now we know that he’s definitely coming, and when to expect him. He’s not. He’s not in Infinity War. But he will be a part of the future Marvel cosmic universe and a pretty important part of that. [Adam Warlock’s arrival] will not be until Guardians 3. Adam is not a part of Infinity War, which of course he is in the comics, but James [Gunn] did always really like Adam Warlock, and our version of Infinity War is the culmination of all the stories we told up to this point. James has had ideas to introduce Adam—certainly there were ideas in Vol. 2, maybe even in part one, but part two for sure—which were great, but the way the story was coming together, there just wasn’t time for that. But Adam also has history with the 2008-era Guardians team thanks to Dan Abnett and Andy Lanning’s run on the characters; that brought a new version of Warlock, alongside Phyla-Vell, then the new Quasar, into the fold with Star-Lord, Rocket, and the other characters audiences are now familiar with thanks to the movies. And now, he’ll be reunited with them on the big screen.